Modern treasure hunters, led by archaeologist Ben Gates, search for a chest of riches rumored to have been stashed away by George Washington, Thomas Jefferson and Benjamin Franklin during the Revolutionary War. The chest's whereabouts may lie in secret clues embedded in the Constitution and the Declaration of Independence, and Gates is in a race to find the gold before his enemies do. Benjamin Franklin Gates and Dr. Abigail Chase re-team with Riley Poole and, now armed with a stack of long-lost pages from John Wilkes Booth's diary, Ben must follow a clue left there to prove his ancestor's innocence in the assassination of Abraham Lincoln. An American biologist attending a conference in Berlin awakens from a coma after a car accident, only to discover that someone has taken his identity and that no one, not even his wife, believes him. With the help of an illegal immigrant and a former Stazi agent, he sets out to prove who he is and find out why people are trying to kill him. A parasitic alien soul is injected into the body of Melanie Stryder. Instead of carrying out her race's mission of taking over the Earth, "Wanda" (as she comes to be called) forms a bond with her host and sets out to aid other free humans. A U.S Customs official uncovers a massive money laundering scheme involving Pablo Escobar. The true story of a white South African racist whose life was profoundly altered by the black prisoner he guarded for twenty years. The prisoner's name was Nelson Mandela. Successful woman in love tries to break her family curse of every first marriage ending in divorce, by dashing to the alter with a random stranger before marrying her boyfriend. In 1914, World War I, the bloodiest war ever at that time in human history, was well under way. However on Christmas Eve, numerous sections of the Western Front called an informal, and unauthorized, truce where the various front-line soldiers of the conflict peacefully met each other in No Man's Land to share a precious pause in the carnage with a fleeting brotherhood. A Pulitzer-winning writer grapples with being a widower and father after a mental breakdown, while, 27 years later, his grown daughter struggles to forge connections of her own. Afghanistan. War correspondent Elsa Casanova is taken hostage by the Taliban. Faced with her imminent execution, a Special Forces unit is dispatched to free her. In some of the world’s most breathtaking yet hostile landscapes, a relentless pursuit begins between her kidnappers who have no intention of letting their prey escape them and a group of soldiers who risk their lives in pursuit of their single aim – to bring her home alive. This strong, independent woman and these men of duty are thrown together and forced to confront situations of great danger that inextricably bind them – emotionally, violently and intimately. A middle-class house in the middle of nowhere. A council estate in Sète. A mother and daughter. Two childhood friends. A vanishing. Blackmail. A clash between two worlds. A fictionalised exploration of Beethoven's life in his final days working on his Ninth Symphony. It is 1824. Beethoven is racing to finish his new symphony. However, it has been years since his last success and he is plagued by deafness, loneliness and personal trauma. A copyist is urgently needed to help the composer. A fictional character is introduced in the form of a young conservatory student and aspiring composer named Anna Holtz. The mercurial Beethoven is skeptical that a woman might become involved in his masterpiece but slowly comes to trust in Anna's assistance and in the end becomes quite fond of her. By the time the piece is performed, her presence in his life is an absolute necessity. Her deep understanding of his work is such that she even corrects mistakes he has made, while her passionate personality opens a door into his private world. An ex-soldier with PTSD is hired to protect the wife and child of a wealthy Lebanese businessman while he's out of town. How to become a man when your mother and your closed circle have decided otherwise? This is the challenge Guillaume took up. The film recounts Guillaume's tragicomic battle from the young age of eight, as he adopts the role of a girl then of a homosexual... until, aged 30, he meets the woman who, after his mother, will become the other woman in his life. Beyond this story of a heterosexual coming-out, the film tells the tale of an actor who never stopped loving women, maybe even a little too much. Matthew, a young advertising executive in Chicago, puts his life and a business trip to China on hold when he thinks he sees Lisa, the love of his life who left him without a word two years earlier, walking out of a restaurant one day. A look at the relationship between Marie Antoinette and one of her readers during the final days of the French Revolution. 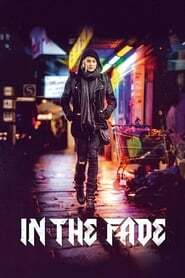 Set in the German-Turkish community in Hamburg, a woman takes revenge for her family in the aftermath of a bomb explosion. A couple goes to dangerous lengths to find a lung donor for their daughter. Lisa and Julien are married and lead a happy uneventful life with their son Oscar. But their life radically changes one morning, when the police comes to arrest Lisa on murder charges. She's sentenced to 20 years of prison. Convinced of his wife's innocence, Julien decides to act. How far will he be willing to go for her? Michel Vaillant is # 1 of pilots, undisputed champion in rallying in all circuits in the world. His success arouses admiration and envy. Ruth Wong, director of Team Leader, is determined to break his streak and avenge the memory of his father, founder of Leader. She is capable of anything to achieve her goal. SEDUCED AND ABANDONED combines acting legend Alec Baldwin with director James Toback as they lead us on a troublesome and often hilarious journey of raising financing for their next feature film. Moving from director to financier to star actor, the two players provide us with a unique look behind the curtain at the world's biggest and most glamourous film festival, shining a light on the bitter-sweet relationship filmmakers have with Cannes and the film business. Featuring insights from directors Martin Scorsese, 'Bernando Bertolucci' and Roman Polanski; actors Ryan Gosling and Jessica Chastain and a host of film distribution luminaries. A woman embarks on a journey alone across the United States after fleeing from her violent husband. Darwin meets Hitchcock in this documentary. 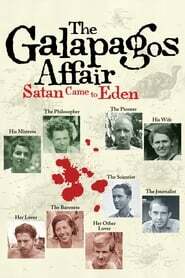 Directors Dan Geller and Dayna Goldfine have created a parable about the search for paradise, set in the brutal yet alluring landscape of the Galapagos Islands, which interweaves an unsolved 1930s murder mystery with stories of present day Galapagos pioneers. A gripping tale of idealistic dreams gone awry, featuring voice-over performances by Cate Blanchett, Diane Kruger, and Gustaf Skarsgard. "Ni Pour, Ni Contre" tracks the fall of a young TV camerawoman, Caty, after she becomes involved with a group of petty criminals and their enigmatic leader, Jean. The gang lives hand-to-mouth until the day Jean plans a daring bank robbery. Although other gang members feel out of their league, Jean persuades them to take part and Caty finds herself in a hellish world of betrayal, violence and murder. Jean-Marc is a man without qualities living in times that are out of joint. His wife and children ignore him; he's a mid-level government functionary in Montreal doing his job without care. He has an active imagination of sexual conquest, but his only real feelings come when he visits his aged mother, whose health is failing. When his wife leaves abruptly to work in Toronto, Jean-Marc sets out to reorder things with his daughters, his social life, and at work. In a world that at best is a farce, does he stand a chance? At an isolated log cabin in the harsh wilderness of Indiana circa 1817, the rhythms of love, tragedy, and the daily hardships of life on the developing frontier shaped one of our nation’s greatest heroes: Abraham Lincoln. Abe is a thoughtful and quiet boy who spends his days at the side of his beloved mother while learning to work the land from his stern father. When illness takes his mother, Abe's new guardian angel comes in the form of his new stepmother, who sees the potential in the boy and pushes for his further education.